(Reuters) – The U.S. Federal Communications Commission said on Friday it paused its "shot-clock" on the review of the proposed $45 billion merger between the two largest U.S. cable providers, Comcast Corp and Time Warner Cable Inc. The FCC, which will determine whether the deal is in the public interest, said it is stopping its informal 180-day clock to review the merger until Oct. 29, the new deadline for the public and stakeholders to comment, or until the agency is satisfied with Comcast's response to requests for additional information. The deadline had been set for Oct. 8. On Friday, the FCC's review of the merger was in day 85 of the 180-day self-imposed informal deadline to complete transaction reviews. The FCC's review had been expected to be finished on or around Jan. 6. The Department of Justice is also reviewing the proposed deal for antitrust issues. Consumer advocates and some competitors have urged the FCC to reject it, saying the combined company would have too much clout over what Americans watch on television and how they access the Internet. Comcast has stressed it does not directly compete with Time Warner Cable in any market and argued that, together, they could invest and innovate to bring better services to more Americans. As is common with major mergers, the FCC asked the companies in August for a lot of additional data on their video and broadband operations, including Web traffic management practices. On Friday, the FCC said in a letter to the companies' executives that Comcast and Time Warner Cable had submitted their responses belatedly, and the agency's staff "has found that a number of the answers in each of your submissions are incomplete." Comcast said it answered all the FCC's questions and will work with the reviewers to sort out what is missing. "We will work with the staff to determine the additional information the FCC is seeking (including the document production that the FCC had asked us to delay filing) and will submit supplemental answers and documents quickly thereafter so that the FCC can complete its review early in 2015," Comcast spokeswoman Sena Fitzmaurice said in a statement. 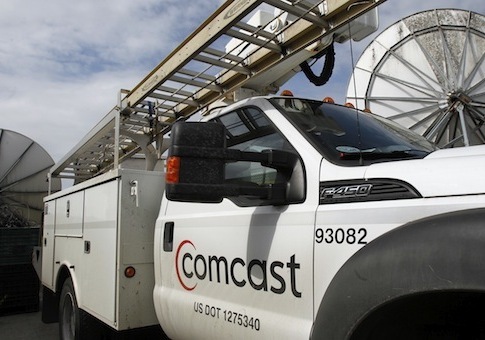 The FCC is weighing how to resolve a hitch in collecting Comcast's programing and retransmission consent agreements after large media companies objected, saying the agency's filing process threatens the documents' high confidentiality. Comcast said those agreements have already been submitted to the Justice Department, whose review is confidential. The FCC said a voluminous recent filing from Comcast – nearly 850-pages long – also warranted a delay in the deadline for public comments. Satellite provider Dish Network Corp had petitioned the FCC for a delay. Comcast's lengthy document, submitted to counter filings from critics, included an analysis related to the question of its discrimination against non-affiliated programing, which introduced "a relatively substantial body of new material" that is "critical to the review," the FCC added.